In a bid to woo Saudi Arabian investment, India has offered a stake in the country's strategic oil reserves storage facility, Oil Minister Dharmendra Pradhan said. NEW DELHI: India is seeking a reasonable price for crude oil from Saudi Arabia, Oil Minister Dharmendra Pradhan said on Friday, in a move that could help Riyadh regain top spot in supplying the world's third largest oil consumer. "Some instrument can be developed so that the pricing is suitable for both of us," Pradhan said after a meeting with Saudi Arabian counterpart Khalid al-Falih. "We must get a reasonable price for crude oil and LPG (liquefied petroleum gas)," he said. Iraq surpassed Saudi Arabia in 2017 as the top supplier to India. Asia has become the biggest and most important buyer of crude oil from Saudi Aramco and the oil company wants to secure Asian markets for the long term as it faces competition from suppliers such as Russia and the United States. In a bid to woo Saudi Arabian investment, India has offered Saudi Arabia a stake in the second phase of the country's strategic oil reserves storage facility, Pradhan said. India is building a six million tonne strategic oil reserve. It already has a 5 million tonne strategic reserved stored at three locations. 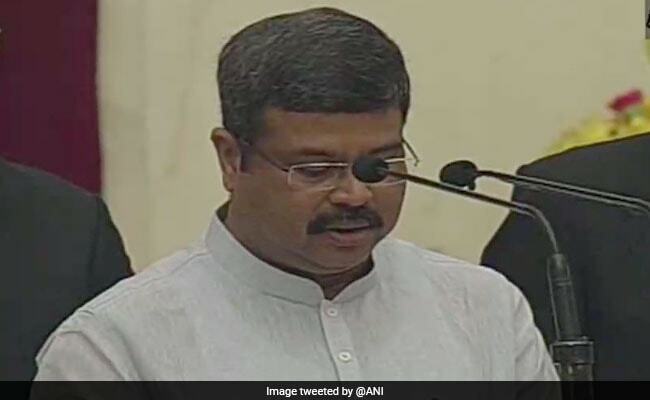 "The way we have done an arrangement with ADNOC (Abu Dhabi National Oil Company) for storage facility, the same way we are discussing with Aramco (Saudi Aramco)," Pradhan said. India and Saudi Arabia also discussed investment opportunities in a proposed oil refinery on the west coast of India with a capacity of 1.2 million barrels per day and a petrochemicals project in the southern city of Kakinada, Pradhan said. "They are more than interested, we are discussing the nitty gritty of the projects " he said. Saudi Aramco, world's biggest oil producer, is investing in refineries abroad to help lock in demand for its crude and expand its market share ahead of its planned initial public offering. Last year Saudi Arabia pledged billions of dollars of investment in projects in Indonesia and Malaysia as part of long-term oil supply deals.